Item# 94056 Size: 33.9 fl. oz. Designed for Equine Health and Care. Horse Trough Protector clarifies water by precipitating out organic particles. Our product will ensure water that is clean, clear, free of organic particles, & healthy. 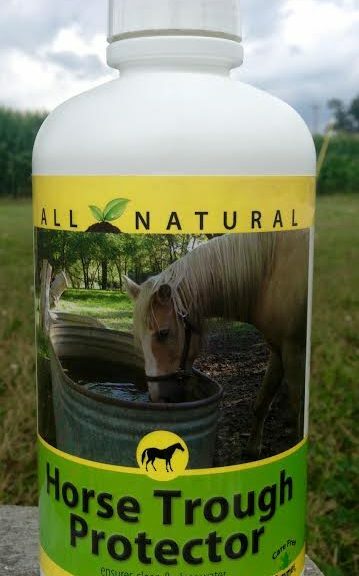 Trough protector contains safe & natural enzymes that break down organic contaminants through a natural process. With our product, cleaning becomes easy, simply add one ounce of our product weekly and rinse debris away with a hose. Spend more time working with your animals and less time cleaning up after them. For use on plastic, galvanized, and heated troughs!